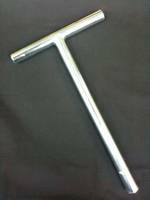 Spark plug T-handle wrench. 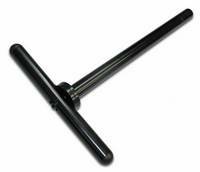 Our T-handle Spark Plug wrench is preset at 17 ft lbs. The 13/16 socket has a rubber insert to hold the spark plug. Made from steel and powder coated black. We also make it in a non-torquing style. Very popular among Top Fuel & Alcohol teams.